EB Awareness has been on the fore-front of this website’s existence. When my son was born in late 1996, there was NOTHING on the Internet about EB. No doctor was able to shed the light on many questions I had until the insurance approved a visit to Stanford, which was, and still is, one of the very few EB clinics in this country. I could not even find anyone online as far as that goes. One of my first contacts of another EB mom would not happen until Nicky was several months old. This, in essence is the reason why this website exists. Please feel free to use any and all tags in any way you’d like. THANK YOU! 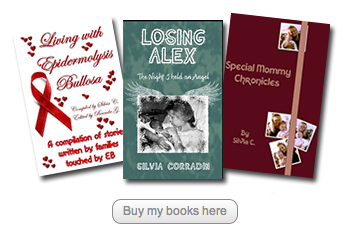 Follow Silvia's journey from the stillbirth of her first son, followed by a miscarriage, and the first 18 years of her son Nicky's life with Recessive Dystrophic Epidermolysis Bullosa. EB wounds offensive to Facebook? I'm Silvia and I am an EB mom. I was born and grew up in Italy, but now live in Southern California (USA). I am Mom to 3 boys, 1 in heaven, 2 on earth. My first son Alex (whose demise is most likely EB related) was stillborn at full term. 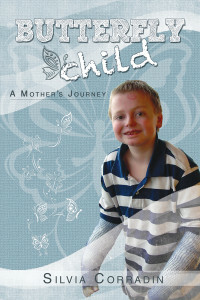 After a miscarriage, I had my second son Nicky, who has the Recessive Dystrophic form of Epidermolysis Bullosa. My youngest son, Connor, is 100% healthy, and I never, ever take it for granted. I started this website when Nicky was just an infant because I could not find any information about EB, so anything I came across I posted for the benefit of other parents and it grew from there. I still run this website (and its FB page) because I never stopped looking for information! 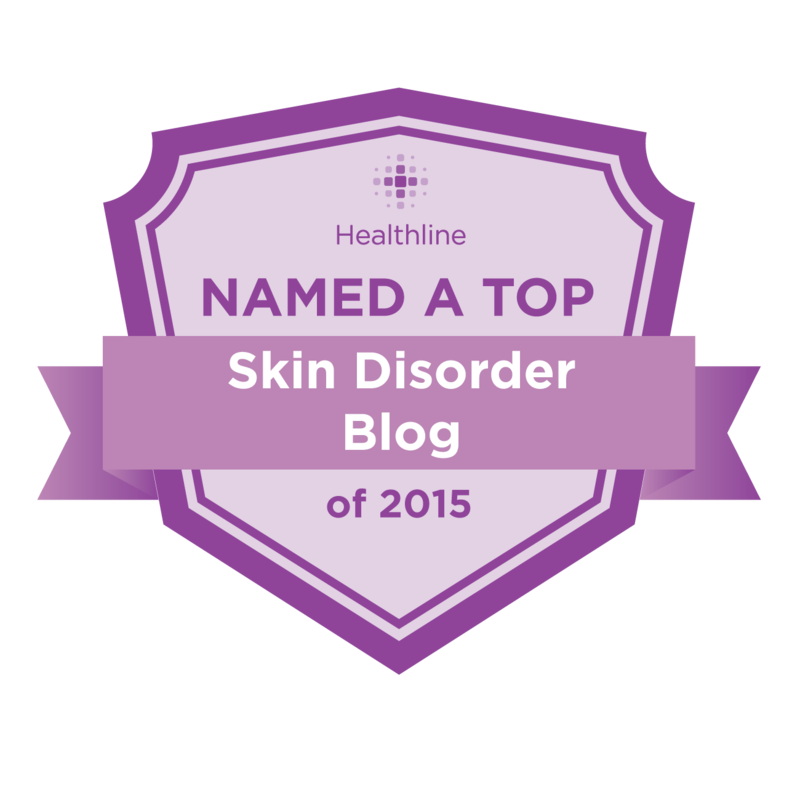 For more about me, you may visit my personal blog. 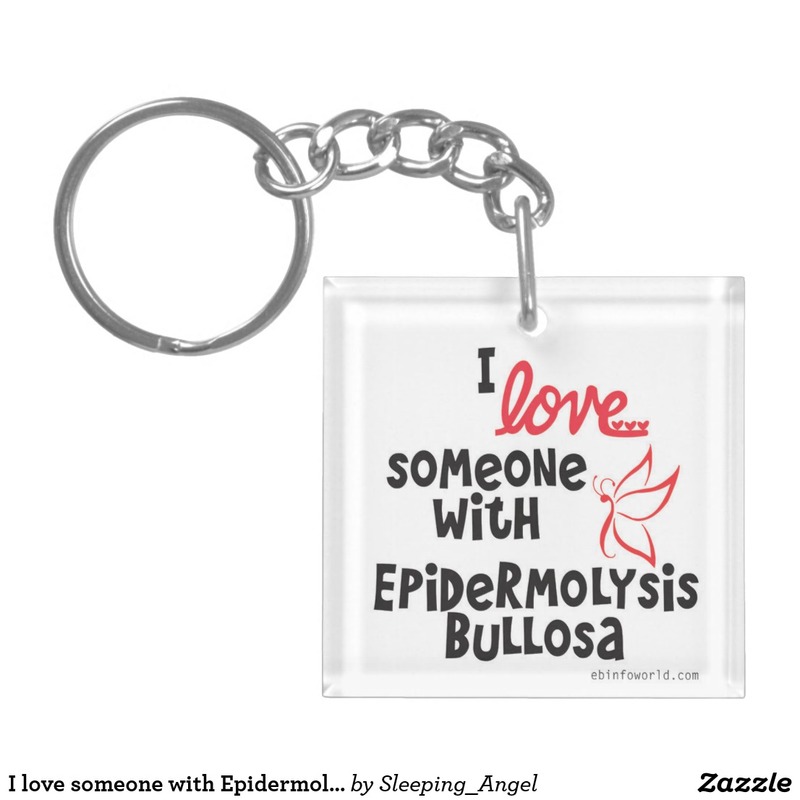 Every week I add a new item in the Zazzle store as well! Check it out!